Peach trees not bearing fruit is a problem that frustrates many gardeners. This need not be the case, however. Learning more about the causes for a tree with no peaches is the first step in finding a solution to the problem. Once you know why a peach tree’s not bearing fruit, you can fix the issue for abundant peach tree fruiting next year. Peach trees generally begin bearing fruit two to four years from the time they are planted. Several factors can cause a peach tree not to bear fruit when expected. 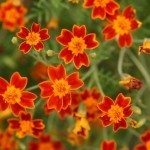 These include over-fertilization, improper pruning, low temperatures, lack of chilling hours and the residual effects of the previous season’s crop. Fertilization – Fertilization with high-nitrogen fertilizers encourages a peach tree to focus its attention on producing new shoots and leaves at the expense of fruit. If a peach tree is growing well and the foliage and new shoots look healthy, it may not need any fertilizer. Remember that when you fertilize the lawn around a peach tree, you are fertilizing the tree as well as the lawn. Lawn fertilizers are very high in nitrogen and can impact fruit production. The addition of phosphorus can help offset this. 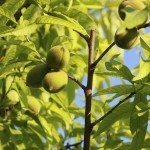 Pruning – Some types of pruning have a similar effect on peach tree fruiting. Removing an entire branch encourages fruiting, while removing a part of a branch, which is called heading back, encourages new growth at the expense of fruit. Temperature – Peach trees begin forming flower buds for the year’s crop during the previous year. This means that the buds are already formed when winter arrives. Unusually cold winter temperatures or warm winter temperatures followed by a sudden drop can damage the buds so that they will not open, resulting in few or no fruit on peach trees. Lack of chilling hours – On the flip side of the coin from temperatures being too low at the wrong time is that it may not be cold enough where you live for the tree to get the proper amount of chilling hours. This can result in deformed fruit or even no fruit. Your local county extension agent or a good local nursery can suggest peach trees that perform well in your climate. Previous crop – When the year’s yield is very heavy, it takes all of the tree’s energy to support the crop. In this case, the tree doesn’t have the resources to produce flower buds for next year’s crop, resulting in no fruit on peach trees the following year. You can help the tree distribute its resources evenly by thinning the fruit during years of heavy yield. Do You Need Two Peach Trees for Fruit? Many types of fruit trees, such as apples and pears, need two different varieties growing close to each other for proper fertilization. Peaches are self-fertile, which means that a single tree, with the presence of adequate insect pollinators, can pollinate itself. Other reasons for a tree with no peaches include overcrowding and not enough sun. Treatment with the insecticide carbaryl can cause part or all of the fruit to drop from the tree before it matures.